When it comes to your HVAC system, it’s surprising how many easy mistakes you can make. Despite being such an essential appliance that’s an important part of every single house, most people just let their air conditioning run and run, without giving much thought to it. Unfortunately, this kind of behavior can be detrimental to your HVAC situation in the long run. There are many habits that can either help or hurt your AC over an extended period of time. At Powerhouse Heating and Air Conditioning, we want to help you to adopt those good habits and drop the bad ones. In this blog post, we’ll explore some of the mistakes you might be making with your AC system that are resulting in higher costs, reduced HVAC longevity, discomfort in your home, or all of the above. The good news? All of these are easily avoidable habits! So if you can put a stop to these habits now, you’ll be saving yourself a lot of frustration in the long run. Let’s take a look. There are many repairs and maintenance jobs for your air conditioning system that should be saved for professional HVAC companies. However, replacing your air filter is not one of them. This is an exceedingly easy task that only needs to be done once a month at most, and it’s light on your wallet, so there’s really no excuse. An old air filter can be clogged with dust and grime, forcing your air conditioner to work harder and less efficiently. Overworked air conditioning systems are more prone to breakdowns, and cost you more in monthly bills. A poorly filtered HVAC reduces the air quality in your home. Allergens, dirt, and dust spread through your home easier. Replacing your air filter is by far the easiest aspect of HVAC repair that you can do in your own time. Don’t neglect it! Doing this once a month could increase your HVAC’s efficiency by 5-15 percent. For people who suffer from hot homes, fans are a saving grace that often go unconsidered. With your air conditioning system, a good rule of thumb is to only run it when you need it. This will improve the lifespan of the system, and also save you precious money each month. 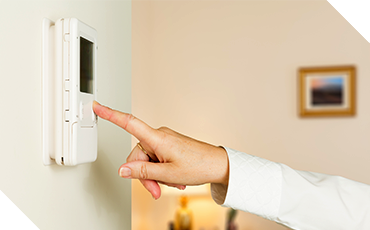 Ideally, you should only run your AC system when the warm temperature becomes intolerable. Before you reach that point, maybe try considering other cooling solutions to take a little bit of the load off your air conditioner. Fans are one of these solutions. They’re great because they can cool down a specific room, and their power usage is an order of magnitude lower than your AC’s, making them a much more cost-effective solution. It should be noted that fans don’t actually reduce the temperature of your room. However, they take the air that’s already in there and circulate it, and moving air has a cooling effect on your body. Under the right conditions, a fan can be just as effective as AC, at a fraction of the cost. Another handy fan tip — if you’re in a situation where you only need to cool one or two rooms instead of the whole house, fans are the most elegant solution. Running your AC to cool a small section of your house can actually have adverse effects, as we’ll explore in the next point. Sometimes you’ll find yourself in a situation where you don’t want your HVAC airflow to go into certain rooms. It could be because the rooms have different temperatures for some reason, it could be that different family members have much different ideas about what “hot” or “cold” means (this one is all too common), or maybe there’s someone who’s sick, experiencing temperature fluctuations. Whatever the reason, sometimes you need to close those vents to keep specific rooms either warmer or colder, depending on whether you’re running your heater or air conditioning. However, it’s all too easy to fall into the trap of closing so many vents that your AC is only cooling a small fraction of your house. This is problematic because your HVAC prefers to have consistent and even airflow throughout the house. Believe it or not, if closed are vents, the air doesn’t circulate as efficiently and that can actually affect your HVAC’s performance. The solution? Only close your vents if it’s only needed in one or two rooms, depending on the size of your living space. If your HVAC is running, it should be flowing throughout the majority of your house. If there’s only one space that needs HVAC flow, it’s better to just get a fan or a space heater for that specific room, instead of blocking all the other rooms and confusing the air flow. No matter where you live, it’s more than likely that you have a huge plethora of local heating and air conditioning companies nearby. If you’re in or around the Blair and Omaha areas, we’re one of them! With so many options at your disposal, there is no reason why you shouldn’t be calling one of those HVAC companies for annual service. The problem is that most people wait for symptoms to occur before they get their HVAC checked up. This is, of course, human nature — most people don’t go to a doctor’s office when they’re feeling perfectly healthy, but who’s to say they shouldn’t? A checkup in a period where you’re feeling fine could reveal issues stirring underneath that will make you feel not-so-fine in the near future. It’s the same with your HVAC. While we would be thrilled if you got checkups twice or three times a year, or even monthly, doing at least just one is the bare minimum, and will go a long way into saving you money in the long haul. Even if there are no overt problems with your HVAC, we can conduct routine maintenance that provides for max efficiency. Like tuning up a bike, your system will work better and give you more mileage if you’re willing to hire a professional to do some work on it from time to time. 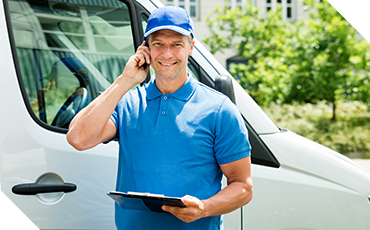 If you’re in Blair or Omaha, contact us today to schedule a checkup appointment, or if you’re interested in air conditioning repairs and replacement. We’ll provide incredible customer service and put all your needs first. Hope to see you soon!